The Junior Steward, Philip Goodyer, presents Thomas Perrins, aged 16, with his ASCY membership certificate in Adelaide on Monday 29th December 2008. Watched by Fred Smeaton, aged 99, (right) the senior known member of the Ancient Society of College Youths and (left) John Loveless (Master SRCY) and Peter Harrison (Senior Steward SRCY). 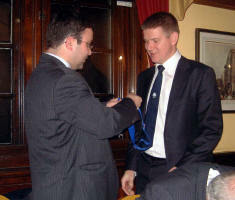 The retiring Master, Mark Humphreys, invests the new Master, Peter Valuks, at the Nov. meeting. 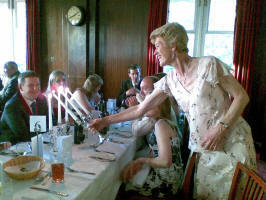 The Anniversary Dinner took place on Saturday 1st November. See here for a gallery of pictures and a report by Chris Kippin. 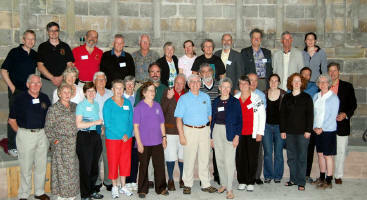 A tour took place in the Summer of 2008 around the UK by members from overseas. 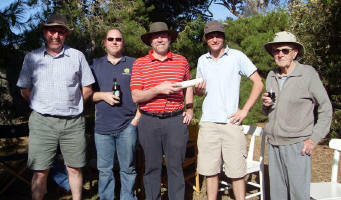 Arranged by Simon Linford, along the lines of UK05 three years earlier, the tour was judged to be an enormous success. Photo here. 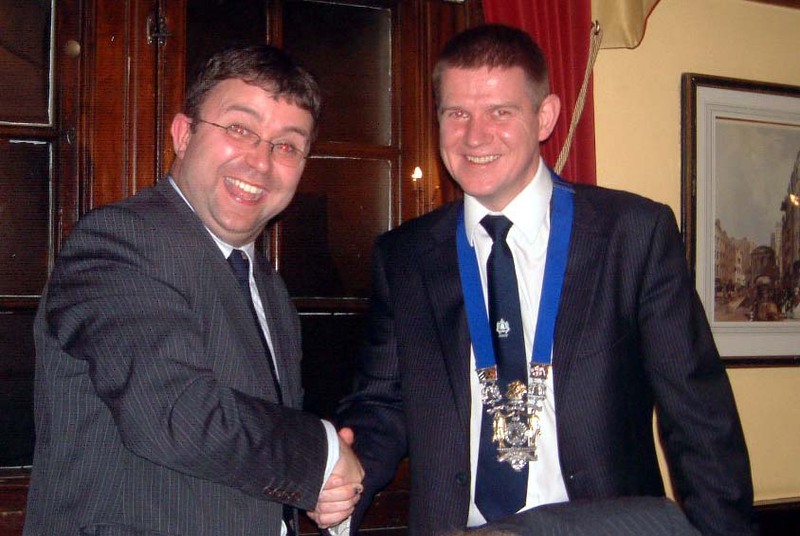 The Country Meeting was held in the European Capital of Culture 2008 - the City of Liverpool. 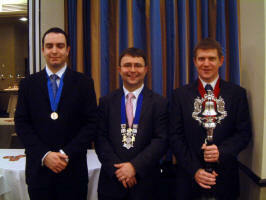 There was ringing in and around the City over the weekend of 19th July and a Dinner at the Athenaeum. More pictures, videos and a report may be seen here. About 35 members gathered in St Sepulchre after the practice there on Tuesday 4th March for an informal drinks evening to mark the official opening of the new Library room there. The Master (Mark Humphreys) thanked the Librarian for arranging the move from St Paul's Cathedral and the donors of the new cabinets. 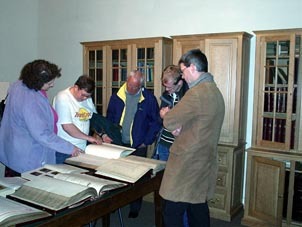 Steve Waters presented an album of photos of the restoration work carried out at St Sepulchre in 1980-82, and members were able to view a selection of the Society's Peal and Name Books in the new room. More pictures here.